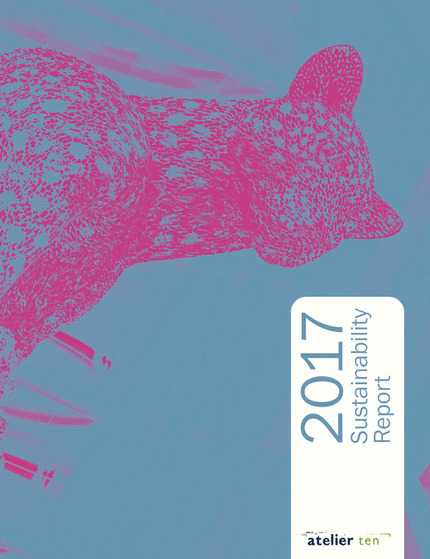 In our 2016 Sustainability Report, I wrote about a global shift away from traditional leadership and a need for societies to pull together to address the issues of climate change and resource depletion. This year we have seen an inversion of many of the customary global power structures and relationships. 2017 has certainly thrown up new and surprising challenges – however it also contained reasons to be hopeful for the future. On the global stage, the American president withdrew the USA’s commitment to the 2015 Paris Agreement on climate change. The national and international response to this abdication of responsibility was encouraging; individual states and many of the institutions that we work with have even affirmed their support for the Paris Agreement. The UK and Canada also launched the Powering Past Coal Alliance, which is committed to dramatically reduce reliance on coal. At a national level, this year was the greenest year ever, with renewable energy outpacing fossil fuel usage for the first time. Carbon emissions fell to the lowest non-strike levels since 1894. And for the first time in 200 years, the country had its first full day without using any coal power. It is not all rosy. While signs are positive, the UK is not on track to reach its carbon emission targets. There is still a heavy reliance on natural gas for heating and power. This year we brought together some of Atelier Ten’s brightest minds from around the world to address the question of how to take advantage of the decarbonising grid. Click here to read our thoughts on this issue. In 2007, Atelier Ten was among the founding members of the UKGBC and I have had the great good fortune of serving on the Board of Trustees since the beginning. I retired from my role earlier this year, the last of the founding group to step down. The UKGBC has been responsible for connecting like-minded individuals and companies from all over the UK building sector and the wider built environment. On its 10th anniversary the UKGBC renewed its commitment to making sustainable development the norm. At Atelier Ten we are proud of our involvement in the activities and education promoted by the UKGBC, and GBCs around the world, particularly in the US and Australia. Our staff also continue to expand our knowledge base. Our ranks of WELL APs and LEED Fellows continue to expand, and these colleagues have shared their expertise in-house and across our industry – read about their activities in our Highlights and Challenges. Furthermore, our operations team in the US have inspired the rest of us by assessing social justice and equality within our American offices. You can read more about this initiative on pages 29 and 30 of the report. History teaches us that progress is rarely linear or straightforward, and 2017 has certainly reaffirmed this. Yet, as we look to the future, despite an increase in cynicism and protectionist agendas around the world, there are many reasons to be optimistic. Throughout this report you will read the ways, large and small, Atelier Ten is pulling together to shape a more sustainable world.